You just purchased your first air compressor, and you are eager to inflate, tighten, loosen, or nail something. But all you have is a long rubber hose and the compressor—you cannot do anything…yet! You need air tools and accessories, whether you have a pancake, tank, portable or stationary compressor. Gloves and leather apron – when using the air compressor to clean off surfaces, gloves can protect your skin from high-velocity metal shavings; a leather apron keeps shards off your clothes. A general safety precaution is to avoid directing a compressed air stream at people, since air can be forced into the bloodstream through skin, leading to an air embolism, which can cause death. 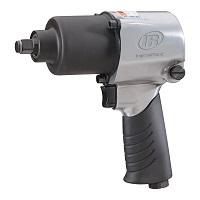 Air impact wrench – available in ¼”, 3/8”, ½” and even 1”. The size refers to the anvil, so the larger the wrench, the greater the diameter of the sockets it will accept. Conversely, a 1” impact wrench will not accommodate a ¼” socket. The “impact” refers to the storing of energy in the rotating wrench, then delivering it suddenly to create high torque. Ratchet – similar to an impact wrench, and available in a range of socket sizes from ¼” up to ½”, an air ratchet speeds up repetitive work on nuts and bolts; all you have to do is squeeze the handle. Brad Nailer – requires around 0.3 CFM; takes 18 gauge brads; used for very small or delicate wood trim, assembling furniture and small, decorative wood projects. Brad nails have smaller heads than finish nails, so need no puttying. Finish Nailer – requires around 1.2 CFM; takes 16 gauge finish nails; used for attaching wood or extruded plastic trim, furniture carcass assembly, and light nailing. Finish nails leave a larger hole than brads and require puttying. 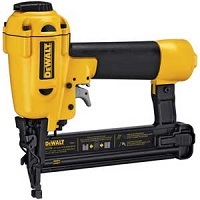 Framing Nailer – requires around 2.2 CFM; takes 16 gauge common nails up to 3 inches long in either stick or coil style; can be angled or straight. 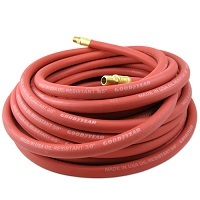 Hoses and adapters – hoses as small as ¼” up to 1” in diameter are available; line adapters allow for quick connect/disconnect between tools. 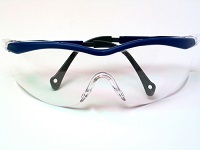 In-Line filters and in-line oilers – these clean the compressed air and also keep your air tools lubricated. Blow gun – an essential cleanup tool, a squeeze of the trigger releases up to 90 psi to blow clean your workbench, car engine, garage floor, or any part you are working on. Never point the blow gun toward a person. This is hardly an exhaustive list. 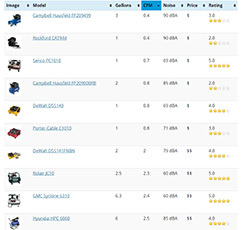 You can also add saws, sandblasters, drills, shears, grease guns, sanders, grinders and riveters to your collection of air tools.